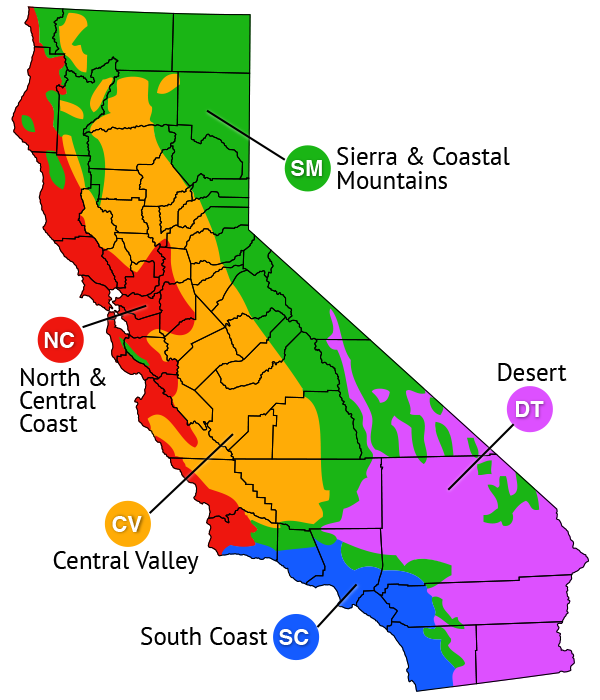 A California native suitable for Sunset zones 3a-10 and 14-24. 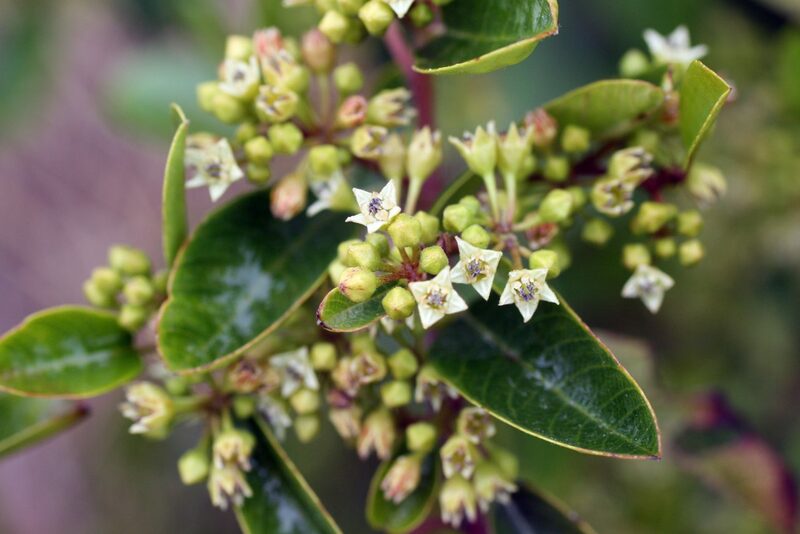 Formerly known as Rhamnus californica, called coffeeberry because its berries contain seeds that look like coffee beans. 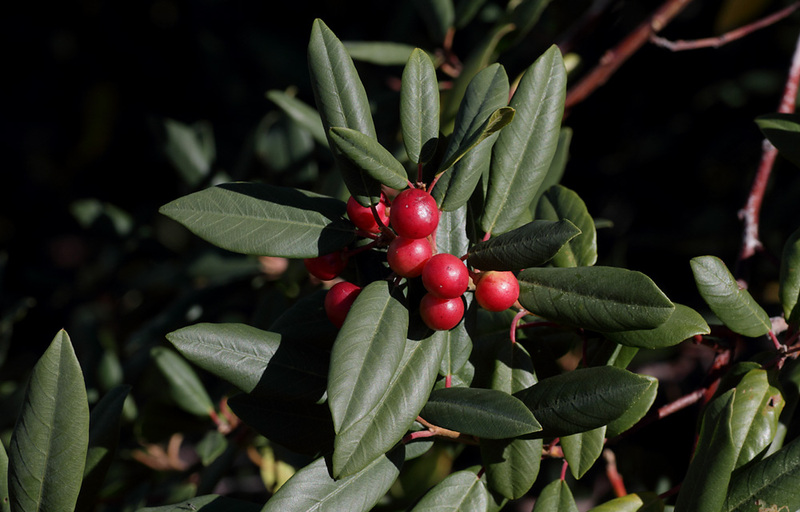 Coffeeberry is an evergreen bush that can reach a size of 15 feet high and 8 feet wide. A chameleon of a plant, grown near the ocean it may have a low, spreading habit, and in woodlands grows upright. Makes a great fire resistant hedge. Native from the Oregon Coast ranges through most of California into Arizona and Baja. 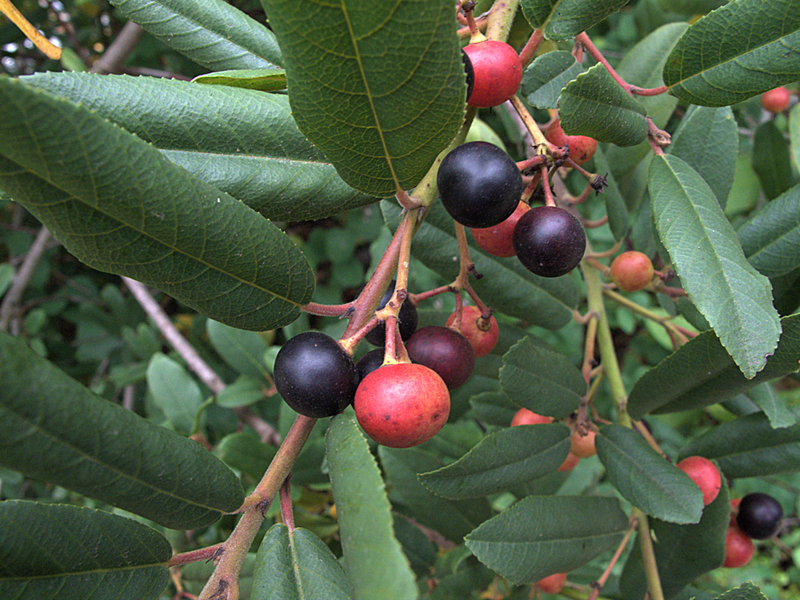 Birds love the berries, but deer won't eat the leaves. A great plant for many species of butterflies as a nectar plant and host plant. Foliage is a rich, dark green and quite dense. Leaves are shiny or dull and usually paler on undersides. Tolerant of pruning and shaping. Not fussy about soil. Established plants need no irrigation. The flowers are insignificant but develop in to berries that turn red to black as they ripen. 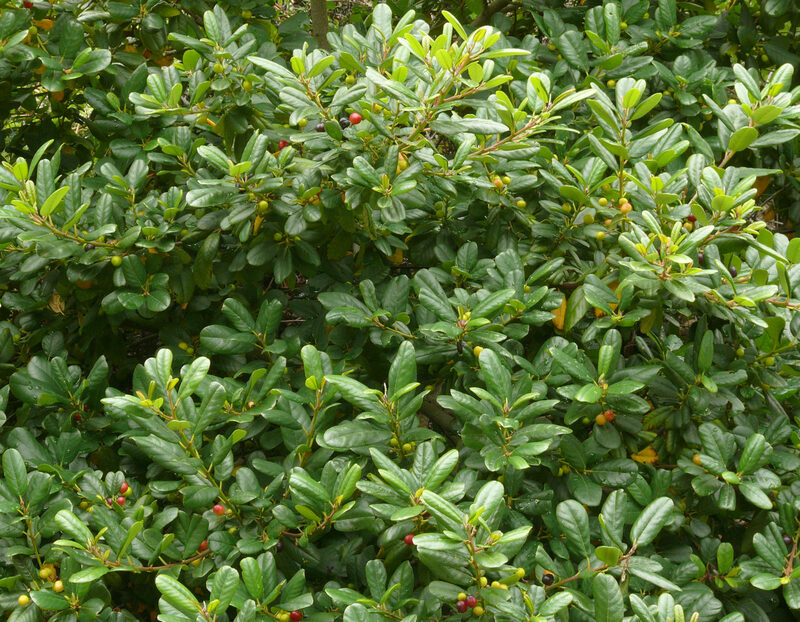 Several cultivars exist, including 'Eve Case', 'Leatherleaf', 'Mound San Bruno', 'Seaview', and 'Seaview Improved', which lies nearly flat to the ground.